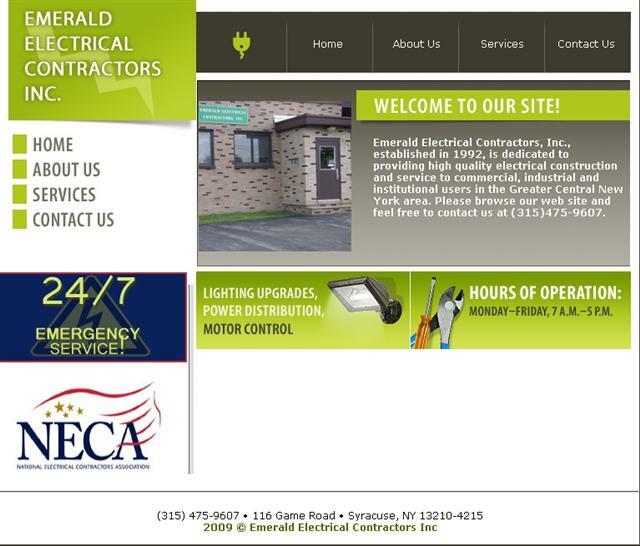 CUSTOMER : EMERALD ELECTRICAL CONTRACTORS INC. In May of 1992, the partnership of Daniel Bilow and John Greeley melded 16 years of estimating and project management and 20 years of practical field experience respectively, to form Emerald Electrical Contractors, Inc. Starting with small jobs and service calls, it was soon apparent that the tiny business operating out of a home would need a home of its own. The business relocated in October of 1992 to its present location at 116 Game Road in Syracuse, New York.